To ensure your safety and that of other road users, one of the most critical parts of your vehicle that should be kept in tip top condition, is your tyres. Having too little tread is illegal and can result in skidding in poor conditions, as well as points on your license if you’re pulled over by the police. 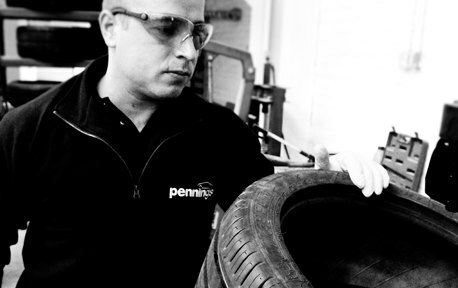 We offer a free service at Penning’s where you can bring your vehicle in and have the tyres checked by our experts. Should you require new tyres to be fitted, we stock all the major types and sizes of leading and budget tyre brands to suit your needs and your pocket. Whilst you wait the few minutes for your tyres to be replaced, our friendly staff will offer you a complimentary tea or coffee in the customer lounge, available for your use.